Club Legends are looking for forwarding thinking grassroots sports clubs and organisations to partner with. Our FREE 3 year partnership is our most popular option as it gives partners a greater choice of free rewards and is a commitment of an annual photoshoot with Club Legends which will remain free over the next 3 years. What the club receive… and it’s 100% free! Pro Club Partnership Agreement with Club Legends Ltd. Bronze Partnership – For clubs who have either booked or have recently had a photoshoot to unlock the minimum amount of rewards. 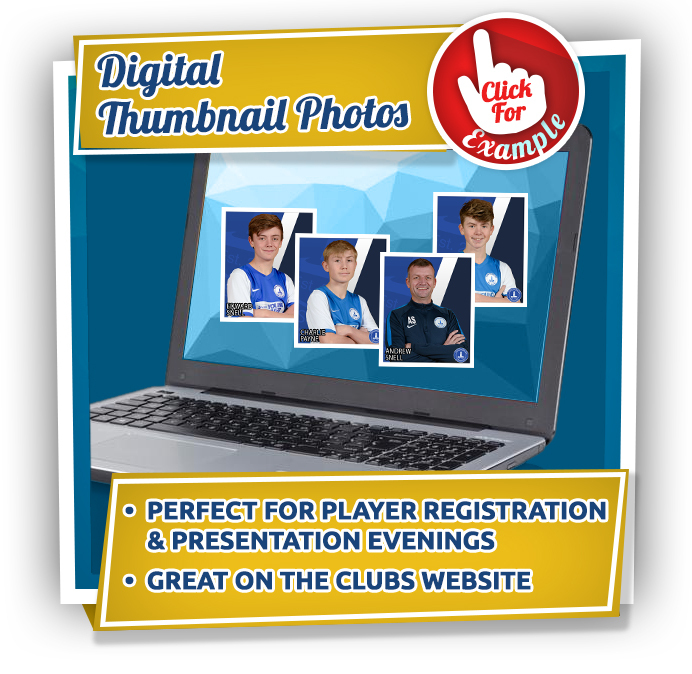 Everyone at the club take part in a professional club photo-shoot and can purchase photos from the Club Legends online store with no obligation for parents, members or the club to buy. 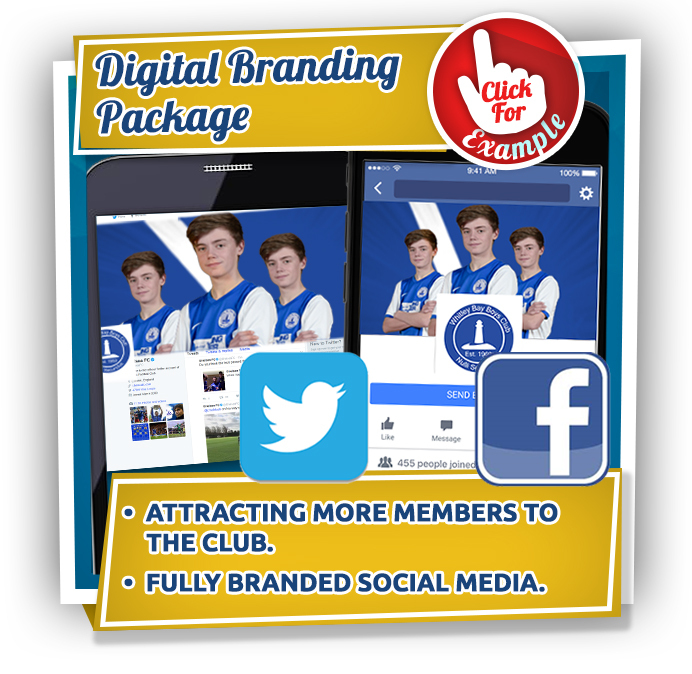 The club will receive a personalised Promotional Video, Digital Club Yearbook, Social Media Package and Digital Thumbnails. Silver Partnership – A commitment to 2 photoshoots over 2 years unlocking your digital club rewards and discounts on all club products. Silver Partners receive all the benefits of the Bronze partnership. Priority booking for your chosen dates when arranging the 2nd year photoshoot which remains free for the Club. 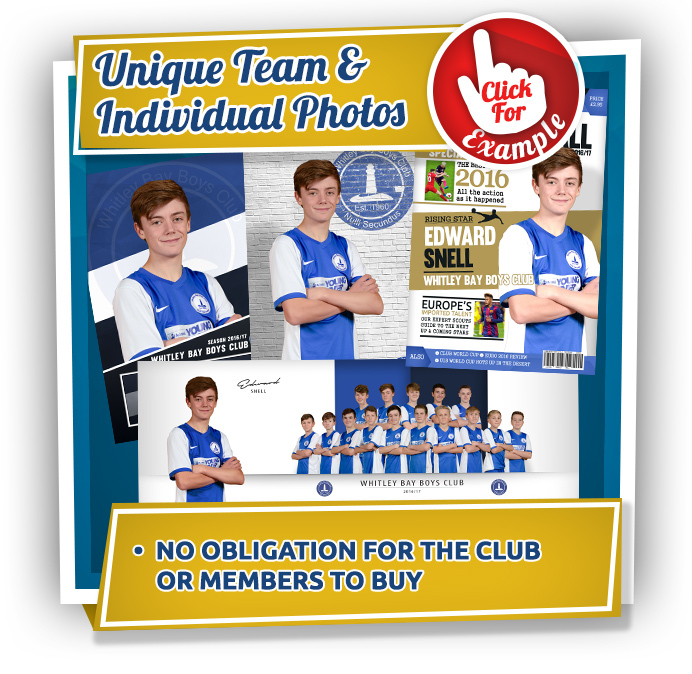 DISCOUNTS on Club Legends Photo Trophies, Club Yearbooks, Clubhouse Canvases and Sets of Team Photos. Gold Partnership – For clubs committing to 3 photoshoots over 3 years with the maximum rewards each year & first in line to receive new products and services. Gold Partners receive all the benefits of the Bronze & Silver partnership. Priority booking for your chosen dates when arranging the 2nd & 3rd year photoshoots which remain free for the club. Have the opportunity to join Club Legends Platinum Partnership which can raise funds for your club. Gold Partners will be first to receive any new products that we’re developing which enhance, add value and raise funds for clubs and organisations. The above packages offer is subject to change or improvement, however will always maintain the minimum value. 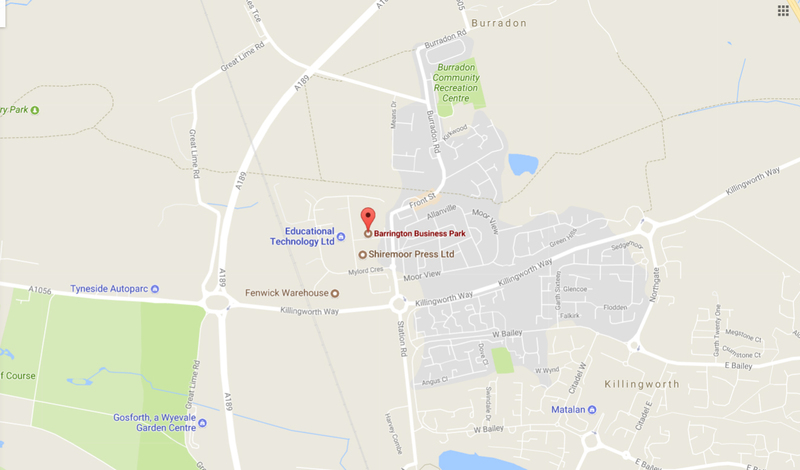 CLUB LEGENDS PARTNERSHIP AGREEMENT is made on the date recorded on submission of this form between Club Legends LTD (Club Legends 10, Barrington Business Park, Locomotion Way, Newcastle Upon Tyne, NE12 5UR) and the Club detailed in “Club Name & Address” section of this form. Club Legends will organise with your club or organisation a free professional green screen photo day to provide all members of your club or organisation the opportunity to have professional photographs taken. One free photo day will be completed on agreement with the club subject to availability on an annual rolling basis. Club Legends will provide the club with commercial and marketing imagery to the value of the agreed partnership offer selected. This may change on a periodic basis. All members are expected to agree to our principles of partnership. These are set out at Annex A.
Communication will be handled over email and by telephone. The main club or organisation official will be our main contact and will agree a date for the photo day in agreement with Club Legends subject to availability and will be completed between September 1st – 5th December on an annual basis. Where there is a conflict, dispute of difference within the partnership, in the first place we will try to resolve the matter through senior members parties concerned. If there is still no resolution, then we will involve a third party. This will be another member of the partnership / the accountable body / the funding body / an independent body. The partnership will adopt the following quality standards, Club Legends to provide a professional service to all members of the club. 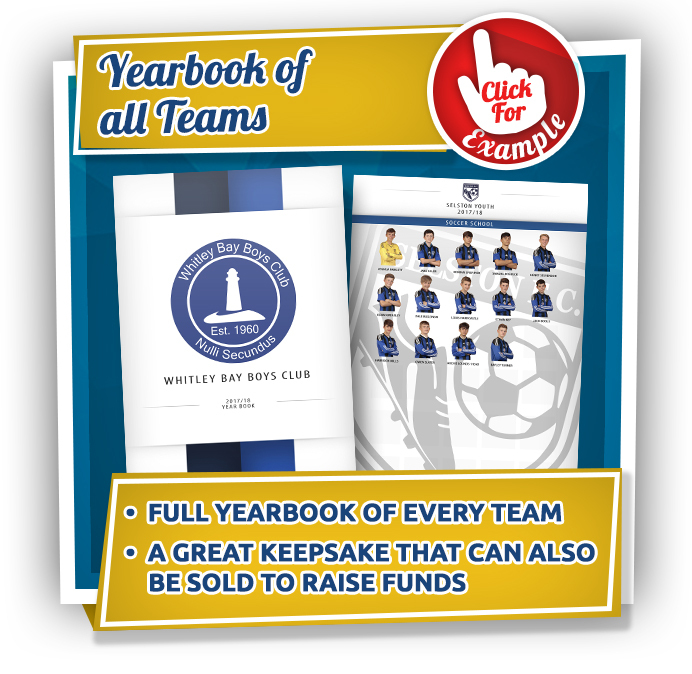 This will include all communications between Club Legends staff and the Club or organisation, quality of photography provided and after sales support for Club or organisation’s members. The Club or organisation will provide suitable venue space (indoors with power and at least 15 feet square and 9 feet high minimum) and all required data at least two weeks in advance of the Photo-day for scheduling purposes. Club Legends will use a qualified Photographer and admin assistant who are CRB/DBS checked and clear. All equipment used will meet our minimum specification to provide high quality, studio grade images. Each partner is responsible for the health and safety of their staff, volunteers and beneficiaries (where relevant) in accordance with their health and safety policy and should have suitable risk assessment systems. All partners should comply with the requirements of the data protection act. Any data held by Club Legends is done in line with all relevant guidelines and legislation. All partners must have a written equal opportunities policy that outlines the arrangements that are in place to ensure staff, volunteers and beneficiaries are treated fairly and protected from bullying and harassment. This is provided free of charge from Club Legends on a pre-arranged date subject to a minimum of 70 members of the club or organisation taking part. The club in turn will provide the facilities required to facilitate the photoshoot in terms of room space and power. 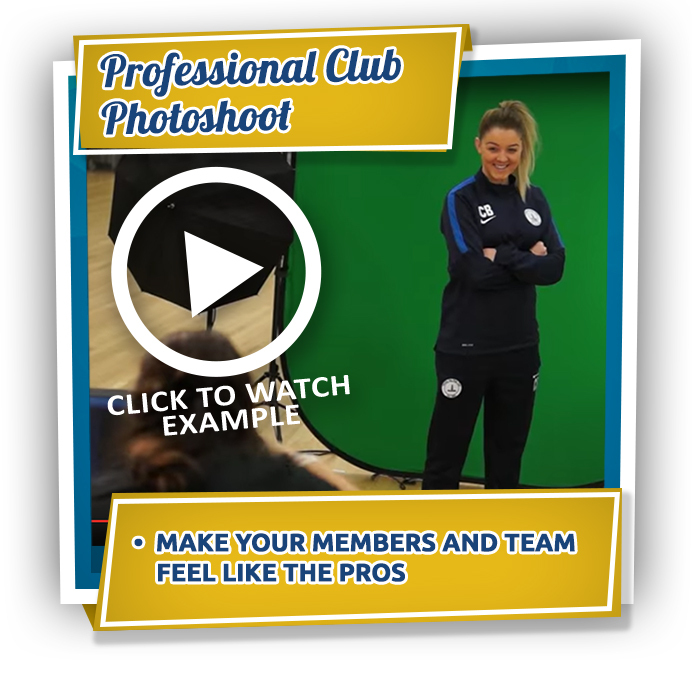 If the Club or organisation wish to change a pre-arranged photo day Club Legends must be given at least 14 days’ notice informing them of a new suitable date and venue. Should the partner wish to cancel the event without a new date being agreed and is within 14 days from the photo date the partner will be liable for costs of £120.00 plus VAT chargeable for photography booking costs and is non-refundable. A member of the partnership may terminate their membership by given written notice to the other party. If there is a breach of this partnership agreement the lead partner will endeavor to resolve the matter swiftly and in writing. The partner in breach may have their membership suspended during this time in which case they will not be able to act on behalf of the partnership. If the breach cannot be rectified, the member may be asked to leave. As a partnership we agree individually and collectively to adopt the following guiding principles which we believe will improve our services. We will adopt the principles of openness and transparency in all aspects of its operation and communication. This means that we will share information in a timely and accurate manner; that we will raise issues and problems as soon as possible and work creatively and constructively to find a resolution and that we will raise questions and queries promptly and share knowledge and expertise. We recognise that each of us has something to give to the partnership and that equally we have something to get from it. We will share learning through identifying good and best practice. Each partner will be encouraged to adopt best practice that they see elsewhere and to share examples widely within the partnership for the benefit of everyone. We are committed to delivering high quality services and will work to ensure continuous quality improvement of our service provision. This means that we will set and expect high standards which we will monitor. We will support each other to develop our collective standards and where appropriate we will set challenging but realistic quality improvement targets. We will welcome external inspection as an opportunity to verify our internal quality assurance and quality improvement standards. We start off from the premise that we are all successful organisations with a need to generate income and receive fair financial recompense for our contributions. We will work hard to ensure that partnership resources are distributed fairly and reflect the input that we each make. We will be efficient in how the partnership operates. For example, we will use technology where we can, we will supplement face to face meetings with on-line communication and we will keep paperwork and bureaucracy to a minimum. As a new partnership we acknowledge that we have much to learn from each other and that there may be times when things do not go according to plan or to expectation. We will therefore be flexible in terms of how we operate and be prepared to make changes, often at short notice. We will also demonstrate our commitment to flexibility in terms of our relationships with each other and will endeavor to learn about the different constraints placed on each of our organisations and how these affect how we operate.